Dehydrated Potato Powder that we offer is made with hi-tech methods, and therefore taste is strictly maintained in these. We make sure that Dehydrated Potato Powder is tested before final dispatch to the customers. Our Dehydrated Potato Powder is free from adulteration, and therefore highly demanded in the market. 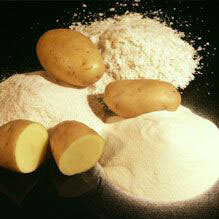 We can provide Dehydrated Potato Powder in bulk quantities.